scaba’s first ever Regional test piece workshop took place at The Hawth in Crawley on Sunday 11th February. Representatives from several 2nd section bands from the London & Southern Counties, Midlands and West of England regions discussed Ex Terra Lucem (Jonathan Bates) with AoBBA adjudicators Chris King and Nick Garman. L&SC regional champions the Friary Guildford Band were on hand to allow the participants to hear various parts of the score in great detail and Chris ended the morning session by leading the band in a complete run through. Sadly, the interest from First Section bands did not match that of the Second Section. We were pleased to welcome a participant in the AoBBA Young Adjudication Scheme who joined delegates to listen to Nick talk through Brass Metamorphosis (James Curnow) and learned how best to follow a score whilst listening to a live performance. Once again the Friary band played through the piece for us, this time led by Nick Garman. Workshop attendees found both sessions useful and enjoyable; our thanks go to Nick, Chris and the band. 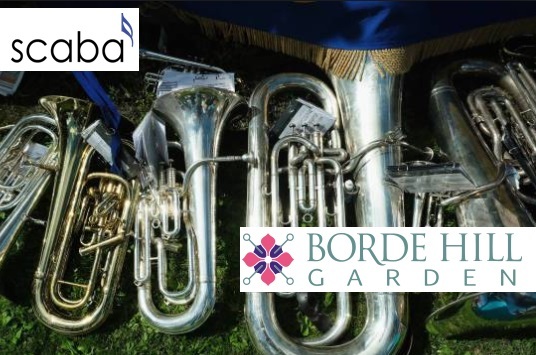 This workshop was initiated by scaba in response to feedback from members bands and other bands in the region, complementing the 3rd and 4th section test piece workshops run every year by our colleagues in the Oxfordshire BBA. As the response was lower than anticipated, scaba will review the uptake and costs of this event before deciding whether or not to run it again next year. This entry was posted in Blog, News and tagged #regionals2018, AoBBA, Chris King, Nick Garman. Bookmark the permalink.